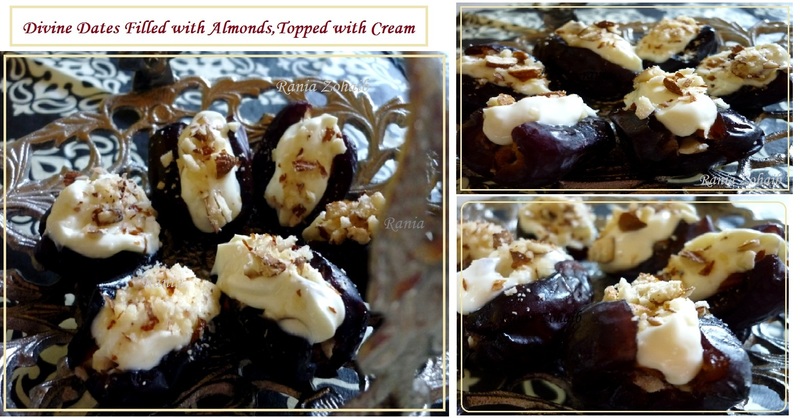 I crushed the almonds with skin, filled in the dates and covered with a thick layer of thick cream. Chill before Iftaar. Unbeatabe in taste!! !